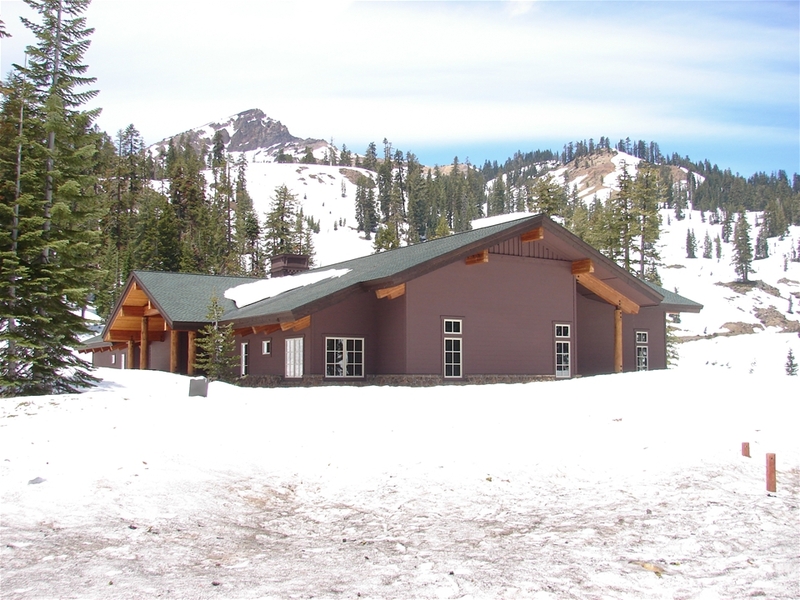 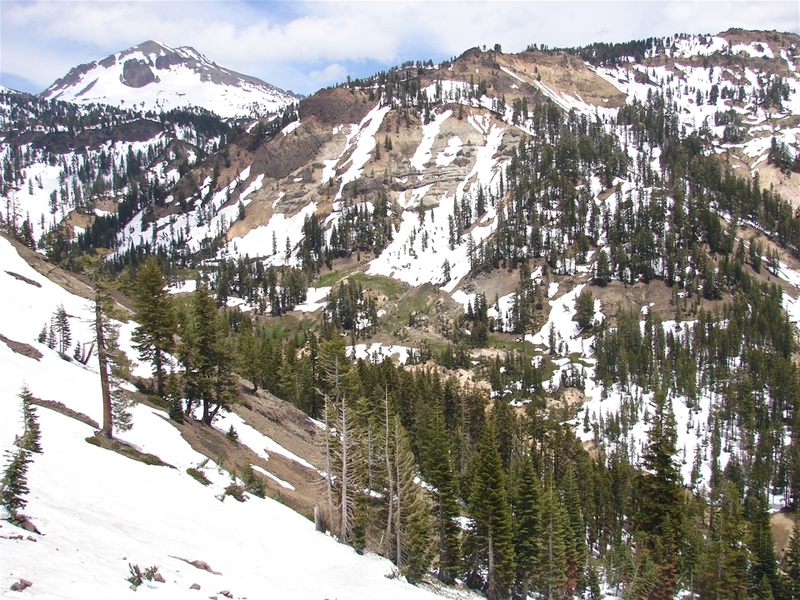 Lassen Volcanic National Park is home to one of several volcanoes in the Cascade Range. 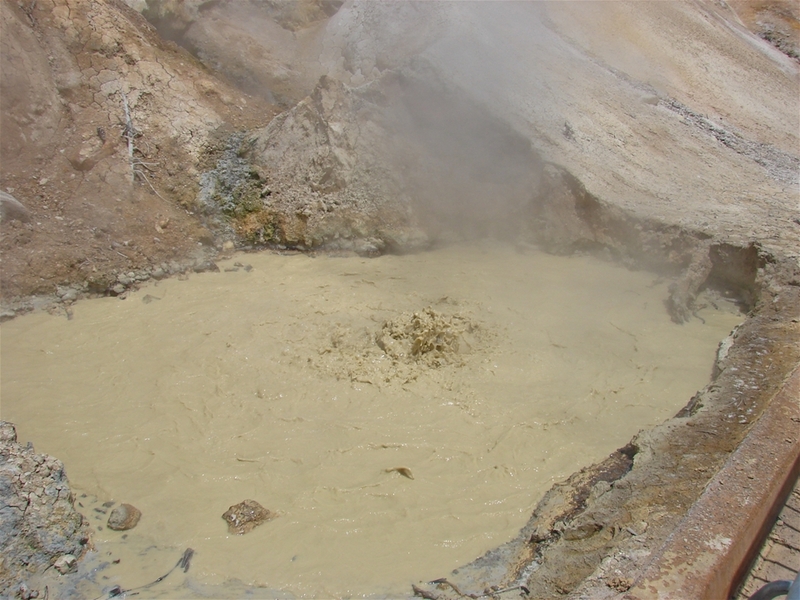 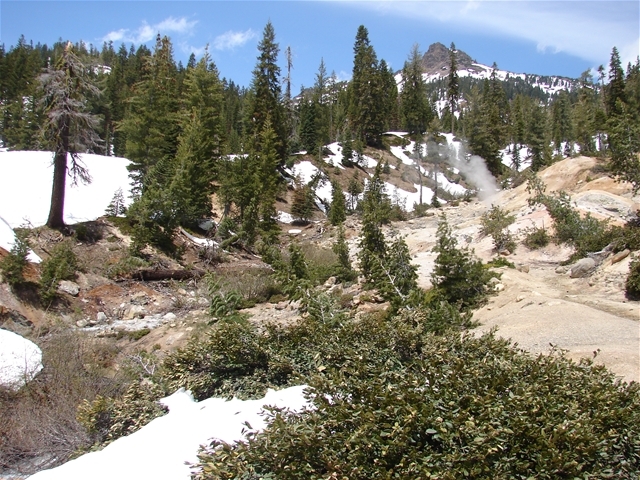 Lassen Peak last erupted in 1915 and the area still contains geothermal activity similar to those in Yellowstone. 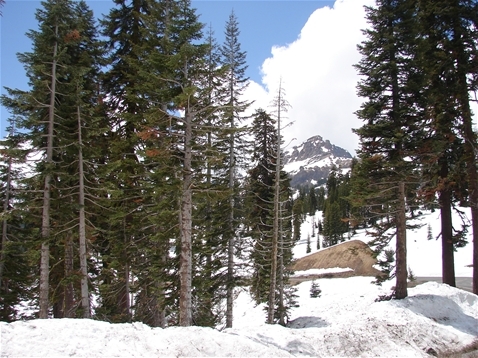 The park was mostly closed due to snow when I was there at the end of June, so it is not well represented here.